Why Celebrate Laboring for Others When You Can Work for Yourself Instead? Celebrate Your Last Labor Day with Atlanta REIA! Hey everyone, our next Atlanta Real Estate Investors Alliance Meeting is on Monday, September 6th, 2010 at 5:30 PM at the Doubletree Hotel in Roswell GA. Yes, it is true that this is the Labor Day holiday for all of you with J.O.B.s, but for the rest of us, this is just another day to get together with our fellow real estate professionals and celebrate the fact that we don’t have jobs thanks to the financial Independence that real estate investing has given us. So if you have a job, enjoy the weekend and better part of Monday with your friends and family, and then come out and join us at 5:30 PM and celebrate what could be your “Last” Labor Day if you choose to make it so. Then you can spend the rest of the year working with your new real estate investor association to achieve the financial freedom you want and deserve so you can “lose your job” and join the ranks of the “self unemployed”! As you know, many investors make more money off a single deal or two than many of their friends and family members make all year. Come hang with us and other successful investors to learn how you can too! (Atlanta, GA) September 11th 2010 will be remembered as a Day of Celebration in Atlanta’s Lakewood Community when six families walk into homes that were once abandoned or in dire need of major renovation. 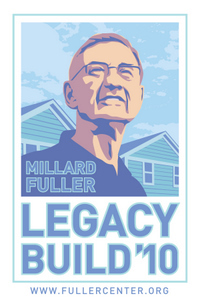 This work is part of The Atlanta Fuller Center for Housing’s five year commitment to revitalization and stabilization of Lakewood. 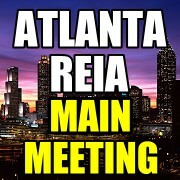 The Atlanta Real Estate Investors Alliance has 3 meetings each month that you need to know about and attend… the MAIN monthly meeting and the two subgroup meetings called Atlanta REIA North and South. The Atlanta REIA Main Monthly Meeting (Roswell – Fulton County) is held on the first Monday of the month at 5:30 PM at the Doubletree Hotel located at 1075 Holcomb Bridge Road in Roswell, Georgia. This is our MAIN meeting for the month. The Atlanta REIA South Monthly Meeting (Stockbridge – Henry County) is held on the second Thursday of the month at 6:30 PM at Ryan’s Steakhouse at 5425 N Henry Blvd in Stockbridge, Georgia. This meeting is a subgroup of our main monthly meeting above. The cost is $5.00 at the door. The Atlanta REIA North Monthly Meeting (Buford – Gwinnett County) is held on the third Tuesday of the month at at 1960 Skylar Hill Dr, Suite D, Buford, GA 30518. This meeting is a subgroup of our main monthly meeting above. The cost is $5.00 at the door.